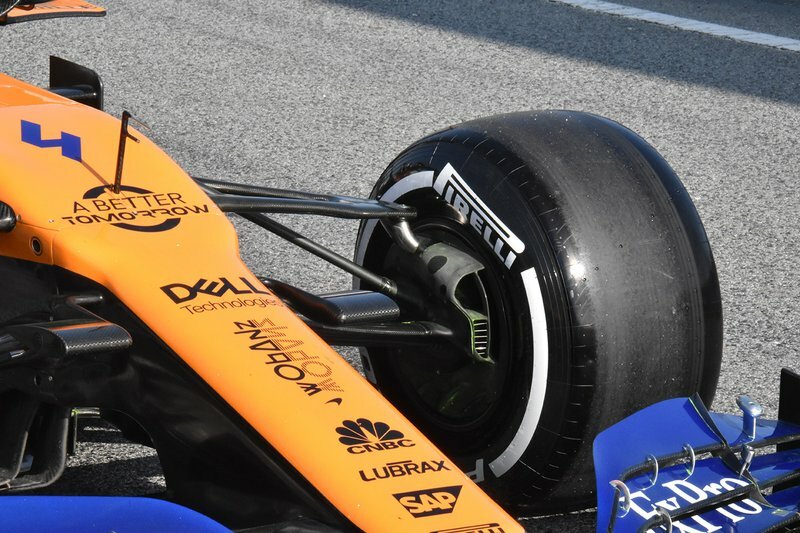 The McLaren MCL34’s front suspension, which features an upright extension to raise the upper wishbone. 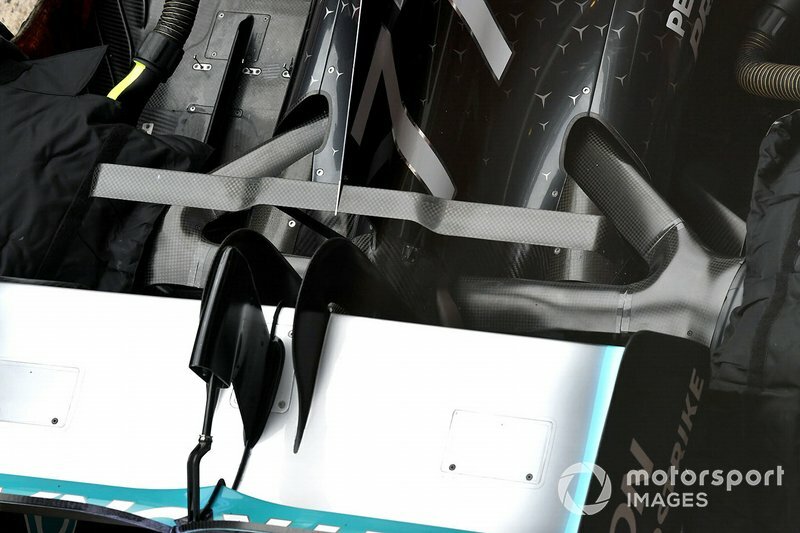 Also note the elongated brake duct inlet, with a more bulbous entry point at the top. 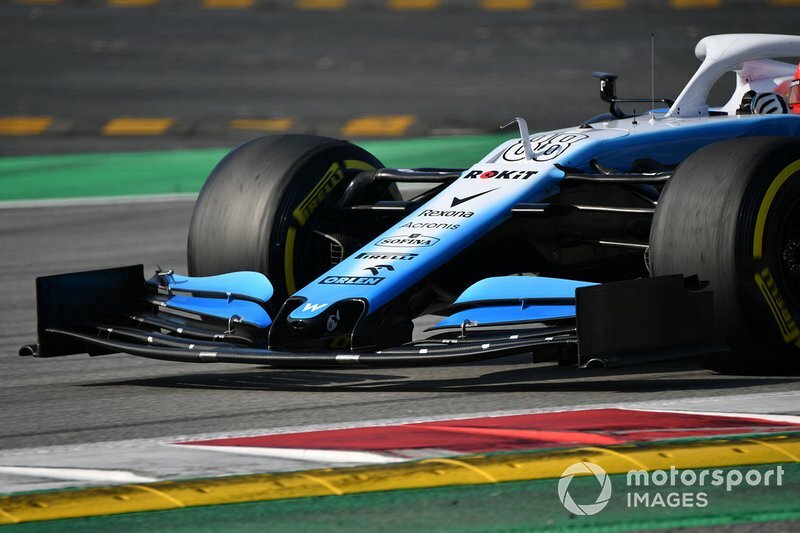 A fantastic top-down overview of the Mercedes W10 rear end showing off their rear suspension, the geometry of the T-Wing and the swan-neck shaped rear wing supports. 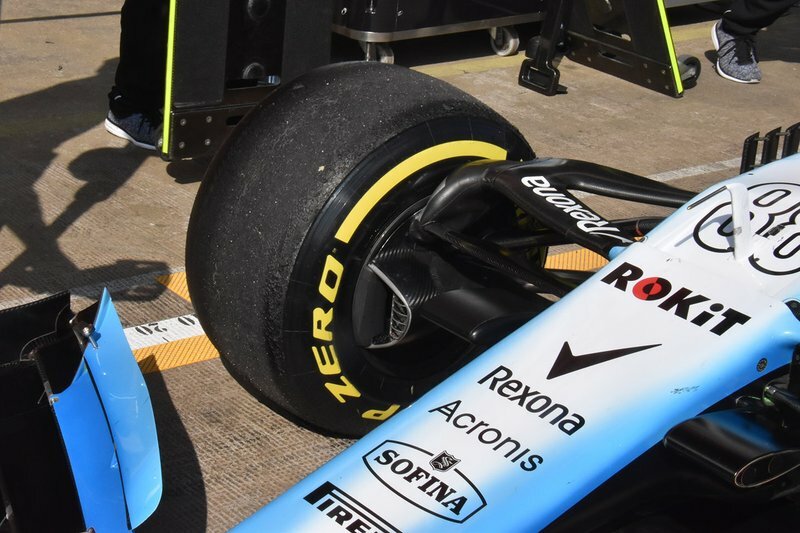 The Williams FW42 with a close knit Kiel probe array mounted behind the front wheels. 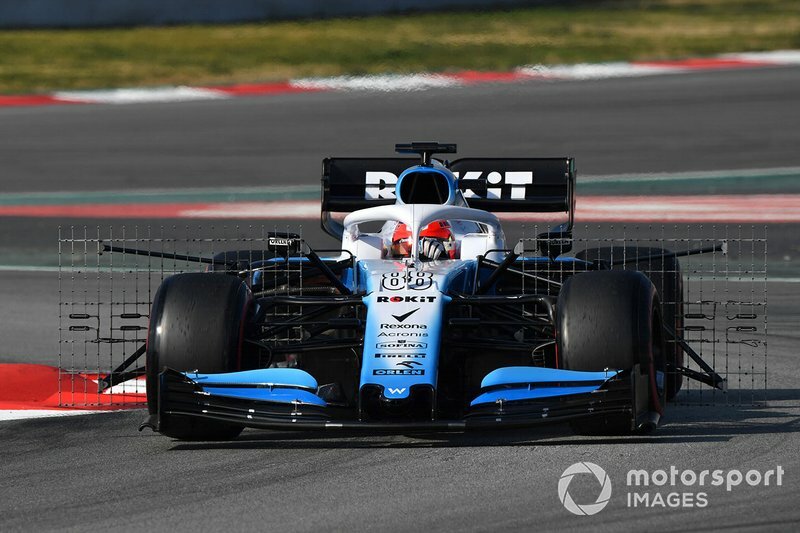 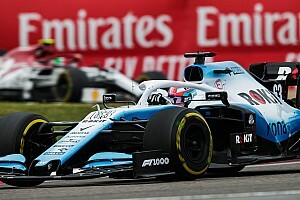 From this forward shot you can also see how wide the arrays are on the Williams FW42, as the team tries to capture all the data it can on the wake generated by the front tyre. 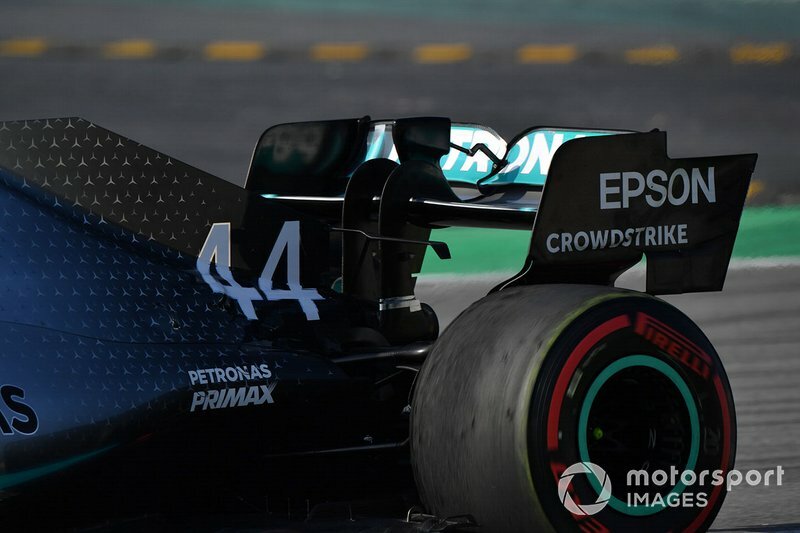 The Mercedes W10’s rear wing with two hanging strakes on the bounding line in the transition region. 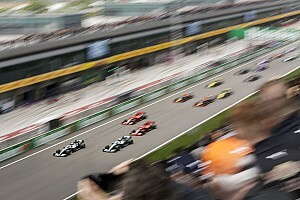 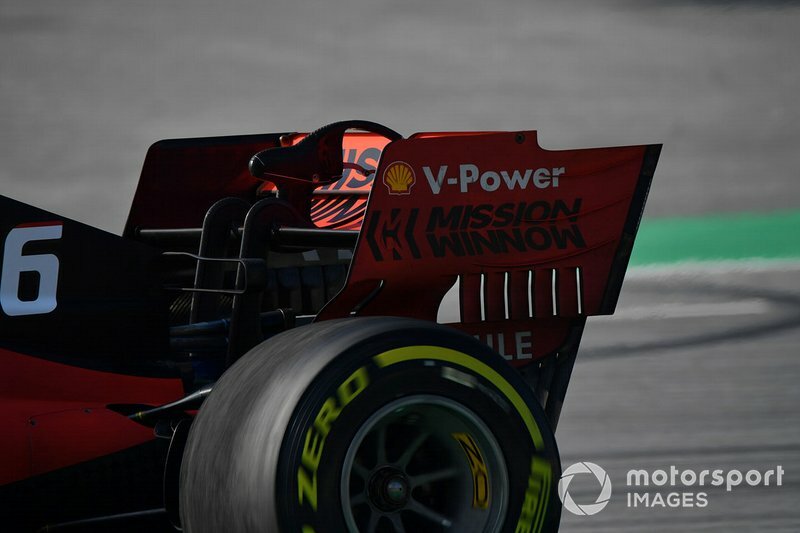 Ferrari’s rear wing strake solution for comparison, which features six strakes on the bounding line in the transition region. 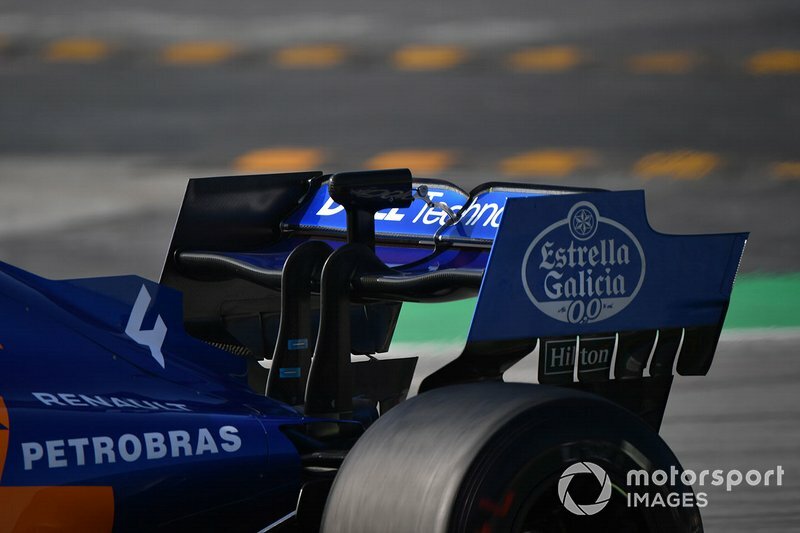 McLaren’s rear wing for comparison, which feature five differently sized strakes in the transition region. 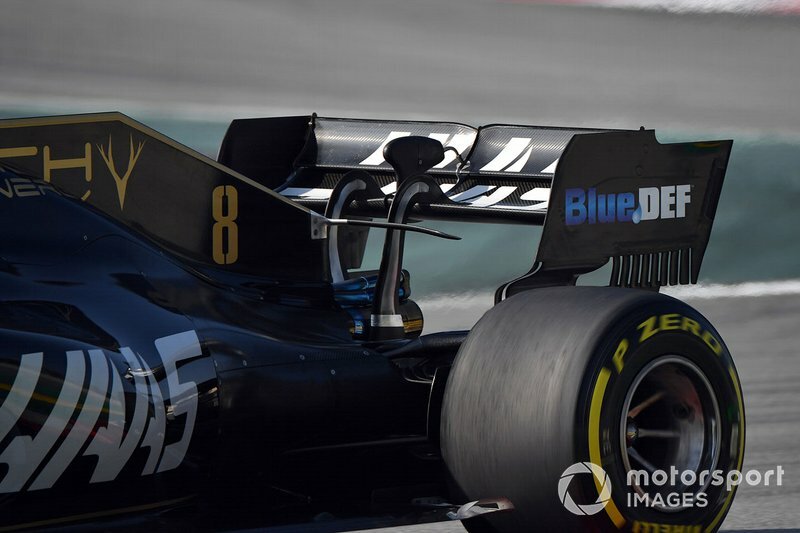 The Haas VF19’s rear wing endplate solution, which features nine strakes in the transition region. 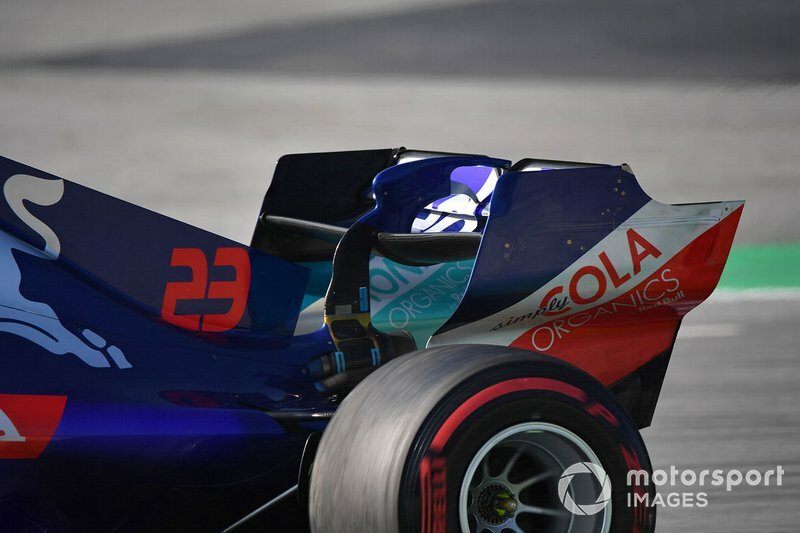 The Toro Rosso STR14’s rear wing endplate solution which currently features a conventional shape with no strakes in the transition region. 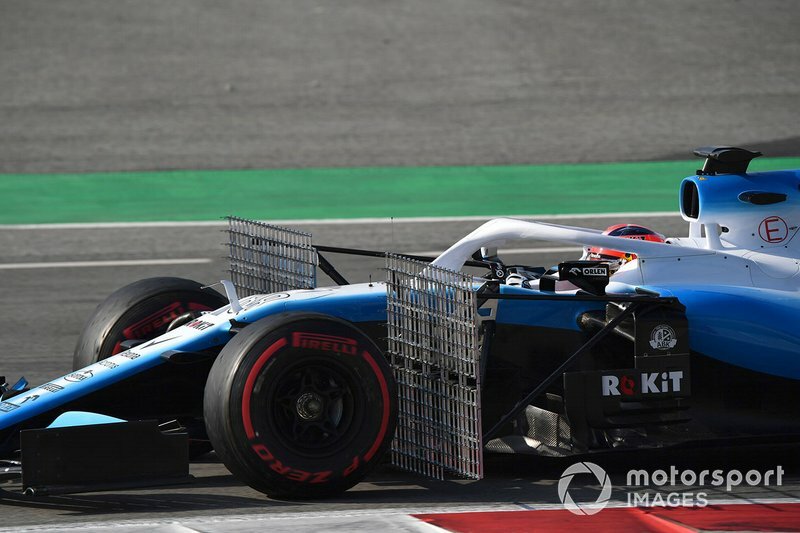 A side shot of the Williams FW42’s front wing, note the cutout in the rear upper corner of the endplate. 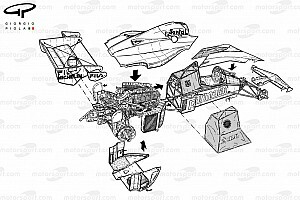 An overview of the Williams FW42’s upright extension and raised upper wishbone. 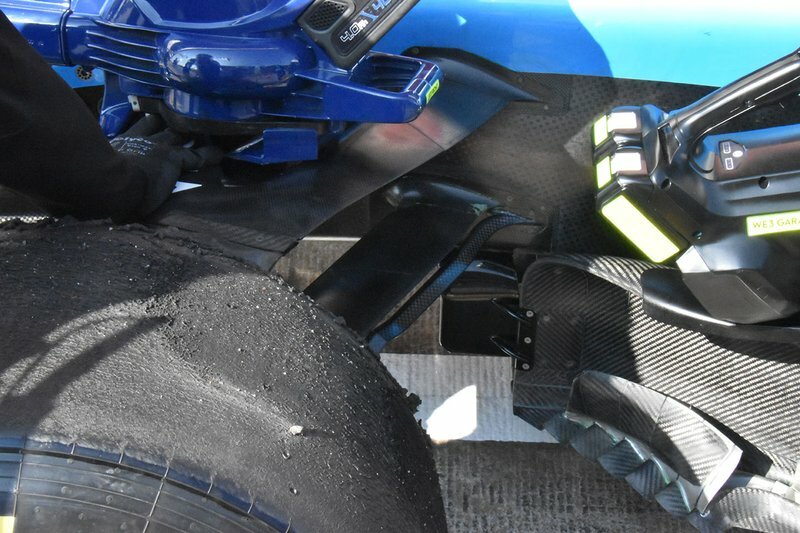 A great close up of the Williams FW42’s front suspension and the additional flow diverter added behind the rear leg of the lower wishbone. 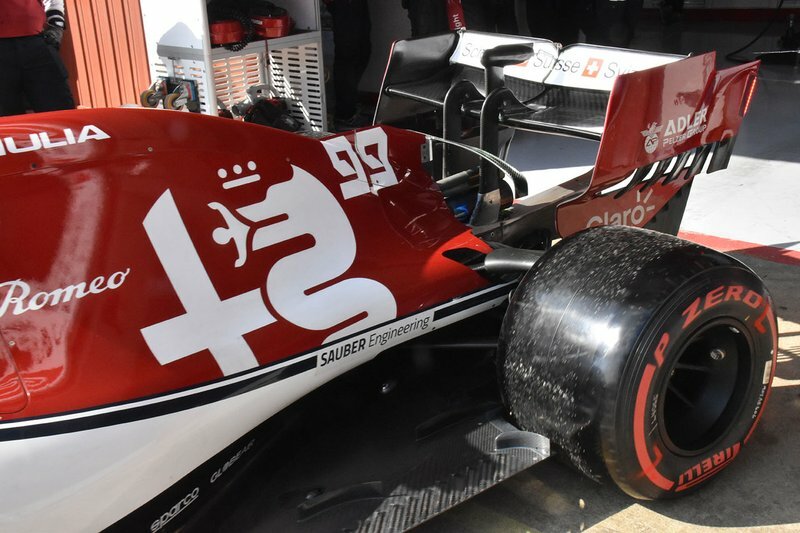 Alfa Romeo trialled a vertical stabilizer winglet on the spine of the engine cover, which also had a drooped T-Wing hung from it. 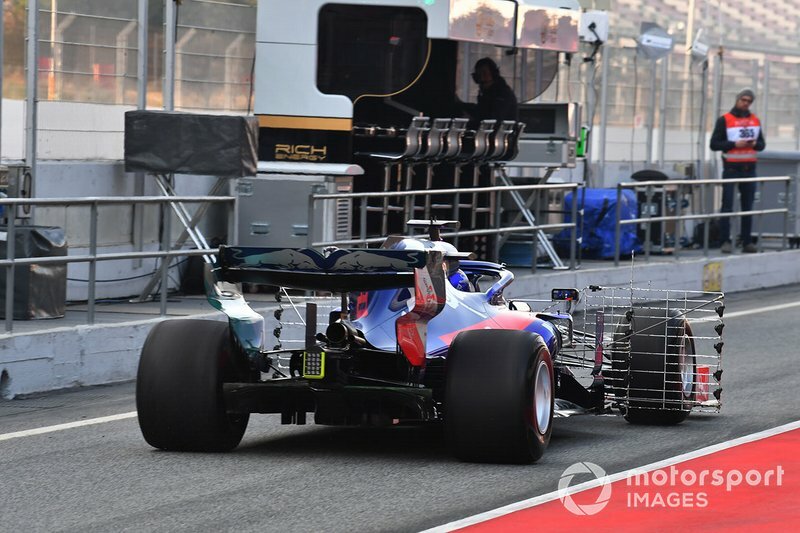 The Toro Rosso STR14 with a wide Kiel probe array mounted behind both front wheels to measure the wake created by the front tyre. 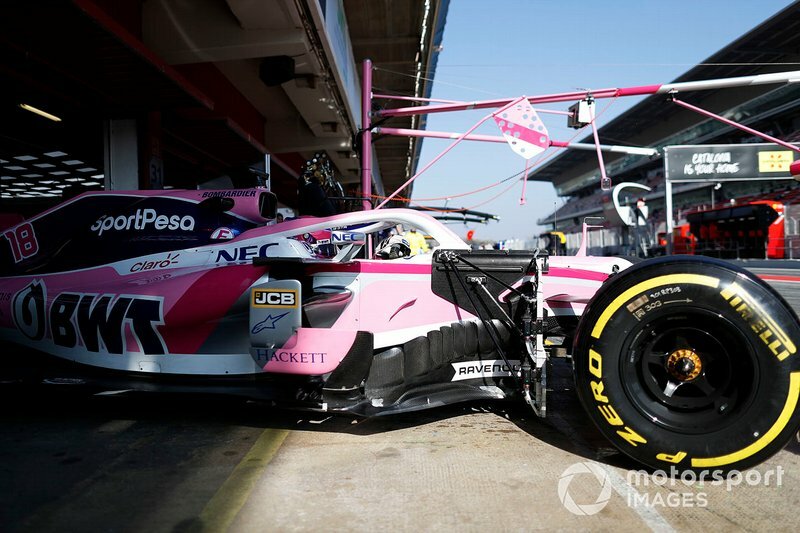 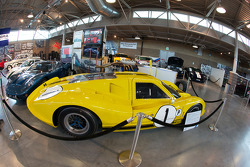 The Racing Point RP19 with a Kiel probe array mounted behind the front wheel to gather data. 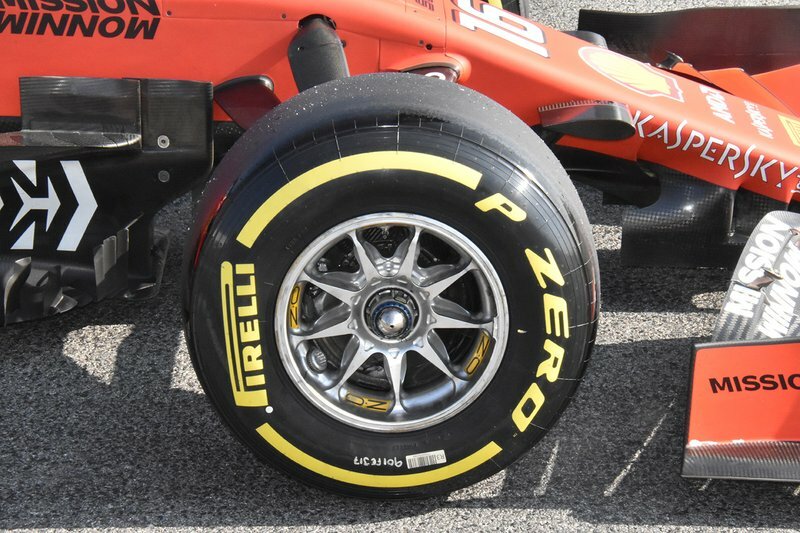 A close-up shot of Ferrari’s front wheel rim.